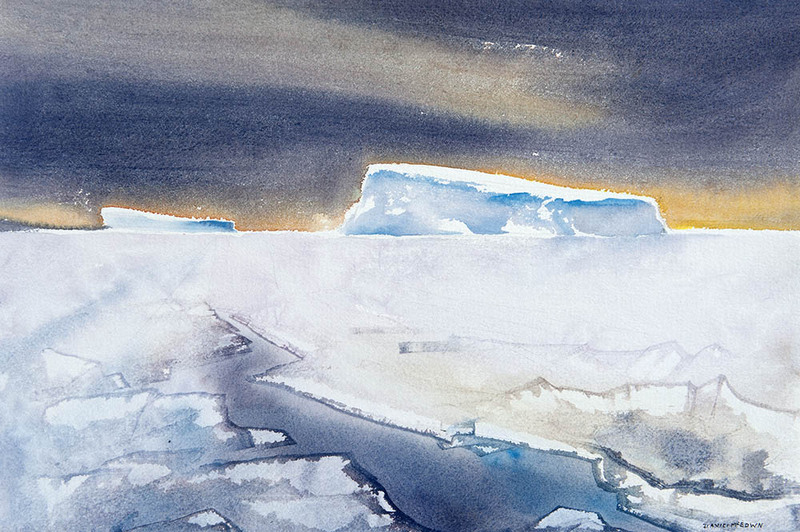 The Far Side of Antarctica was a 38 day expedition aboard the icebreaker Kapitan Khlebnikov. Leaving from the Falkland Islands December 1, 2007, we explored South Georgia and South Sandwich islands and then continued southeast to semi-circumnavigate the eastern side of Antarctica - finally disembarking in Perth Australia. 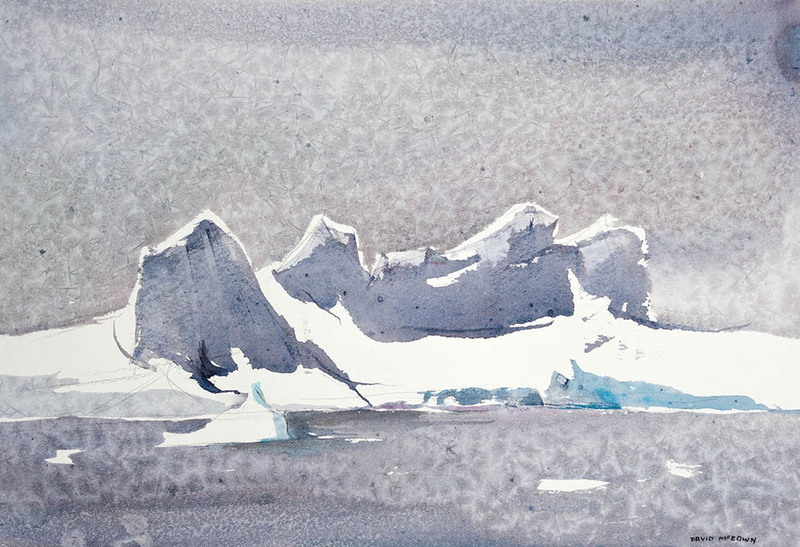 Now my 3rd season painting in Antarctic, it is still like discovering a new world of unforgiving beauty, giant in scale, with shapes reduced to basic raw elements. 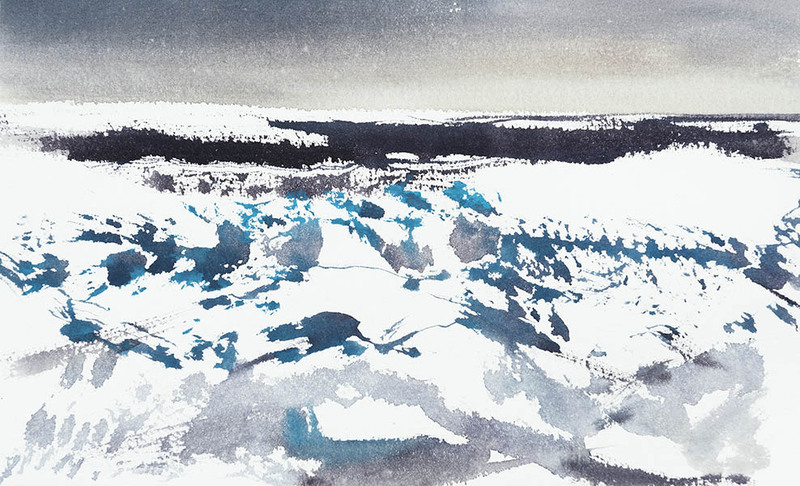 The colors of ice are so subtle, translucent and fragile thus making watercolour appropriate for expressing the soft and crisp edges of the pack ice. Many thanks to Quark Expeditions who have made it possible to explore these impressive places.